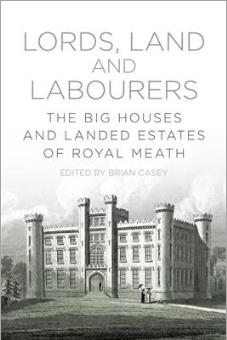 Lords, Land and Labourers – The Big Houses and Landed Estates of Royal Meath is a collection of articles written by historians and academics and edited by Brian Casey. The 240-page paperback explores the long history of Meath from Hugh de Lacy’s effective conquest of Meath in the 1170s and the establishment of Anglo-Norman power, through to the early 20th-century demise of the landed aristocracy. It's a history that has been shaped by the struggle for land and the wealth and power that it cnfers. Published by The History Press, the book will be officially launched tomorrow (18 October, 7:30pm) at Navan Library by Professor P J Duffy, Professor Emeritus of Geography at Maynooth University. It is available to purchase via the publisher's website (€22.50, includes discount) here.